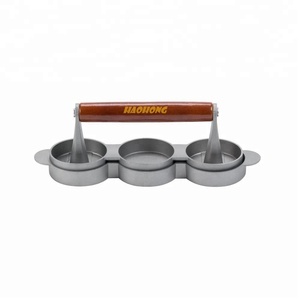 Create delicious slider hamburgers with the 3 slot mini hamburger press! 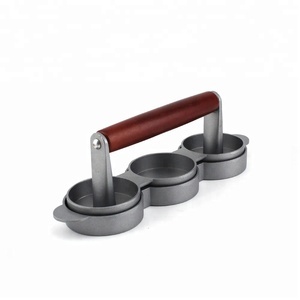 With its three slots, this mini hamburger press will make multiple patties at once as opposed to forming them by hand. 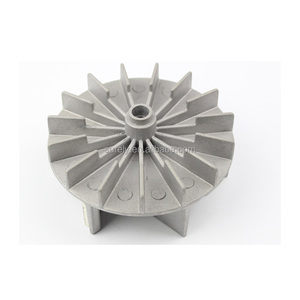 If You meet with quality problem, we promise to replace the related parts. After drying, condition non-stick interior by wiping with cooking oil. High heat is not necessary and may damage the pan. -Cooking highly acidic or salty foods may damage the non-stick coating. 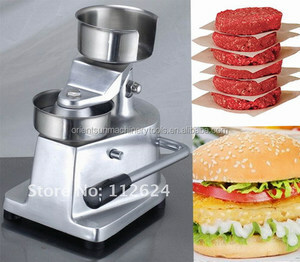 Alibaba.com offers 293 mini hamburger press products. About 45% of these are meat & poultry tools, 6% are other food processing machinery, and 1% are meat product making machines. A wide variety of mini hamburger press options are available to you, such as ce / eu, fda, and sgs. You can also choose from eco-friendly, stocked. As well as from metal, plastic. 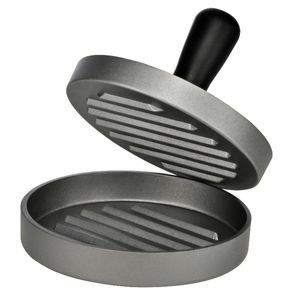 And whether mini hamburger press is hamburger presses, patty makers, or hamburger makers. 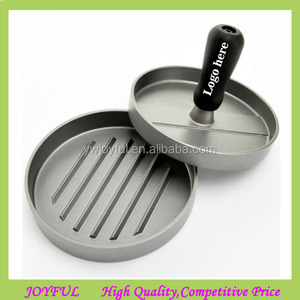 There are 212 mini hamburger press suppliers, mainly located in Asia. 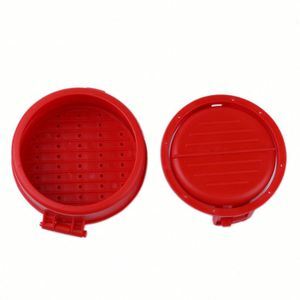 The top supplying country is China (Mainland), which supply 100% of mini hamburger press respectively. 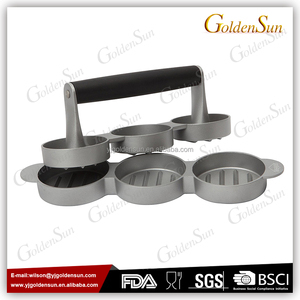 Mini hamburger press products are most popular in North America, Western Europe, and South America. You can ensure product safety by selecting from certified suppliers, including 28 with ISO9001, 17 with Other, and 13 with BSCI certification.